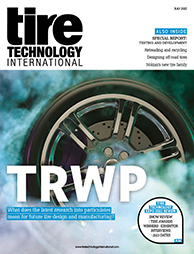 Visitors to Tire Technology Expo looking for ways to improve safety at tire manufacturing plants without compromising efficiency should stop by Emerson Automation Solution’s stand, where the company will present a new single valve manifold that allows for the integration of multiple safety zones. Zoned safety capabilities enable the isolation of up to three safety zones on a machine, while simultaneously enabling the machine builder to use standard valve functionality (in non-safe areas), all from only one valve manifold. Alternative solutions often require the machine builder to use multiple manifolds to achieve the required functionality. The zoned safety approach helps design engineers satisfy the Machinery Directive 2006/42/EC and comply with ISO 13849-1.